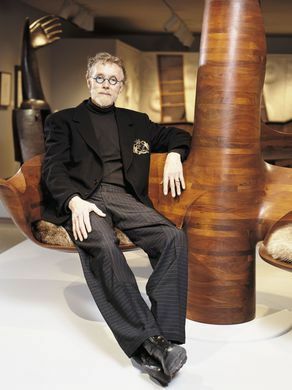 The American artist and designer Wendell Castle passed away at the age of 85 January 20th, after a battle with leukemia. 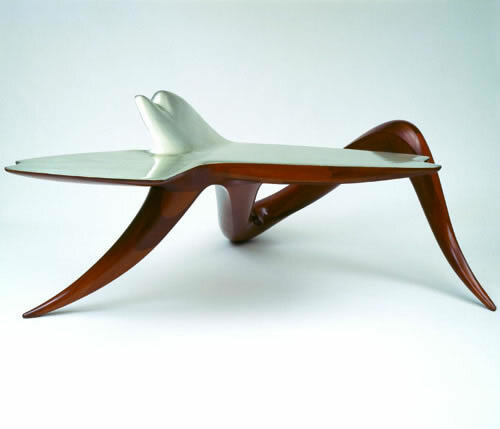 Known as the father of the art furniture movement, Castle was an artist-in-residence at the Rochester Institute of Technology (where he had taught 1962-1969) up until his passing. Famous for his elaborate woodwork pieces, Castle is an important figure in both the art and design worlds, and this loss is felt by many. 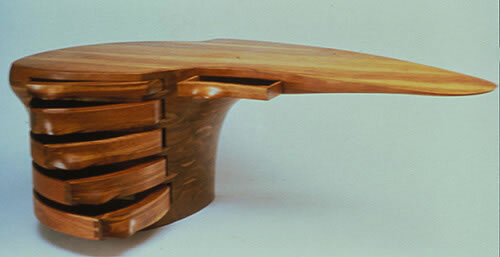 Anyone who has studied design or craft has likely has encountered Castle’s work. Today we’ll take a look at the life and work of Wendell Castle to honor his legacy. Born in Kansas in 1932, he struggled academically due to dyslexia until he began studying industrial design at the University of Kansas. He also later earned an MFA in sculpture at the same school. He was inspired to create functional art when one of his instructors in college asked why he was making his own toolbox (a functional object) instead of art. From then on Castle strove to do both simultaneously. 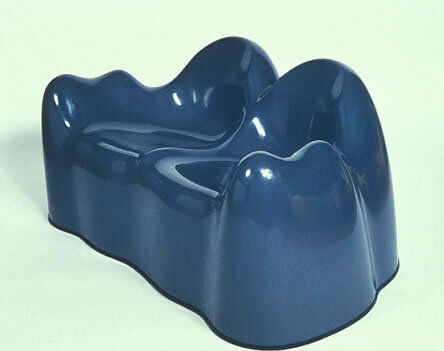 He thought of his works as sculpture, so while his pieces were technically functional objects, comfort was never prioritized. 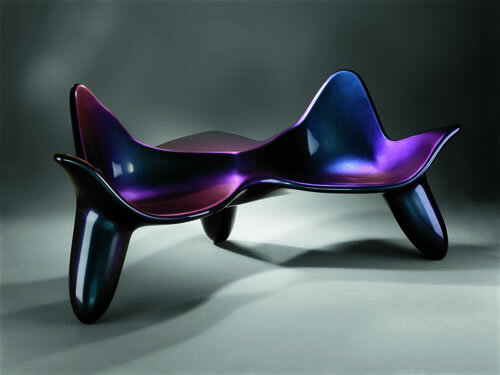 Wood was his primary material throughout his career, which put him in the post-WWII American studio craft movement. But unlike many of his studio craft peers, Castle didn’t hesitate to experiment with new materials early in his career, and was never narrow-minded about form or material. He used many new methods and techniques like popularized stack lamination and trompe l’oeil carving, and he was always upgrading his equipment. 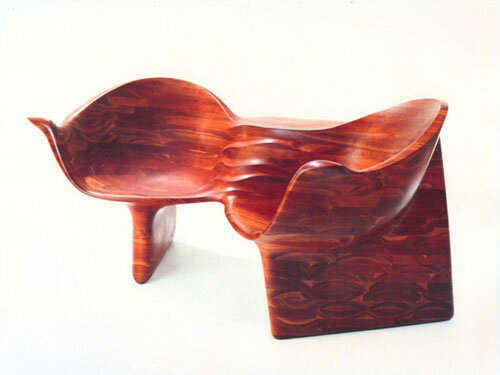 Castle enjoyed wood as his primary material because he realized the ways it could be shaped, formed, and carved were limited only by his imagination. 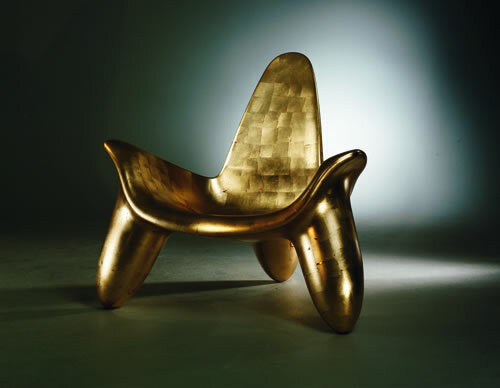 His works defied expectations for both furniture and art, not to mention for the very material they were made from. 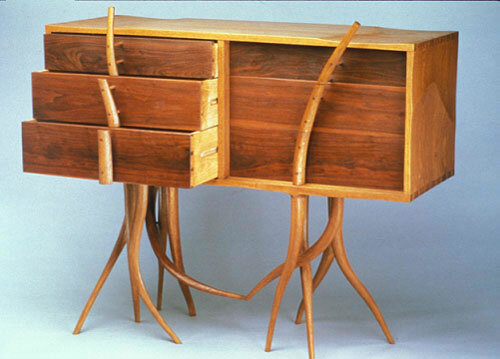 His pieces rarely included the right angles created by joinery usually employed by carpenters. 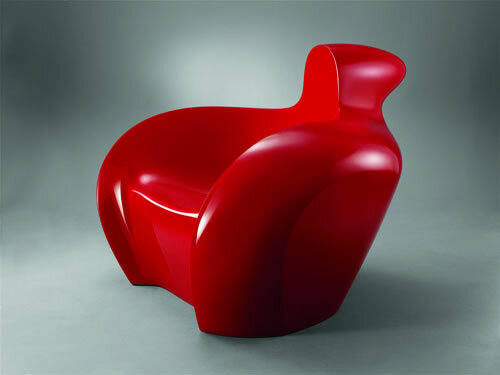 He favored sumptuous curves that looked like the could have been molded from clay rather than carved from wood. He created biomorphic chairs, tables, desks, clocks, and more which resembled giant teeth, tongues, animal feet, and human forms. 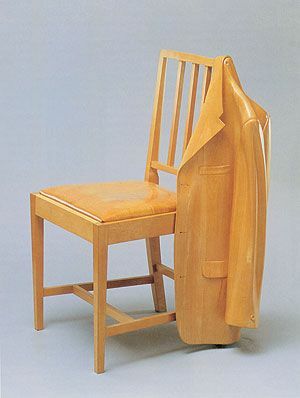 All of his projects started as freestyle drawings on paper, and were then turned into urethane foam models which were in turn laser-scanned by computers and sculpted into slices by woodworking robots. The pieces were then finished by hand with chisels, sanders, and other tools. Like most pioneers, Castle was ahead of his time. As his career progressed from the 1980s into the 2000’s he earned accolades and attention, and his work began finding its audience. Fortunately he was able to live long enough to accept this recognition. 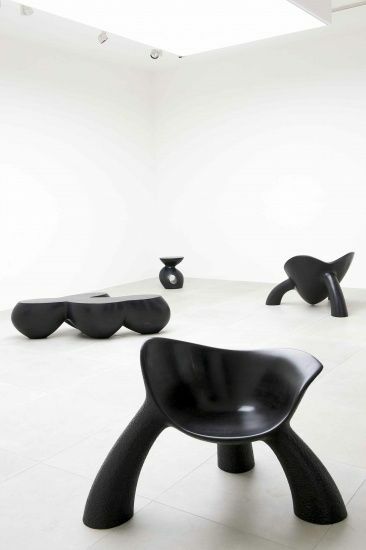 He leaves behind him a vast catalogue of impressive and innovative designs. 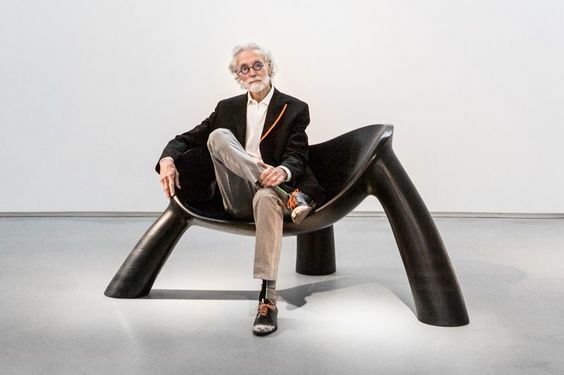 His work can continue to be seen in the permanent collections of the Art Institute of Chicago, the Metropolitan Museum of Art, the Museum of Modern Art, and the Museum of Arts and Design in New York as well as the homes of collectors. Fabulous! Mr. Castle thought outside the box, in part because the box was square-cornered and thereby banal. His works, in contradistinction, are fluid in form and defy predictability. God bless Wendell Castle. interesting to read through content from other authors and practice a little something from their web sites.